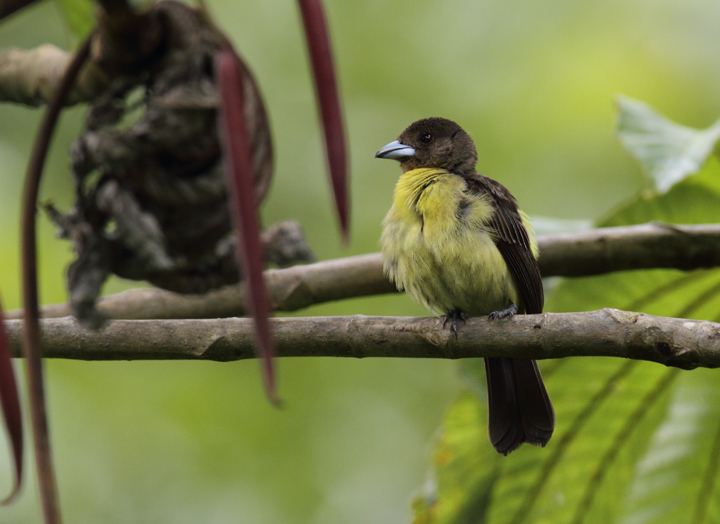 Page 7 of Panama Photos. 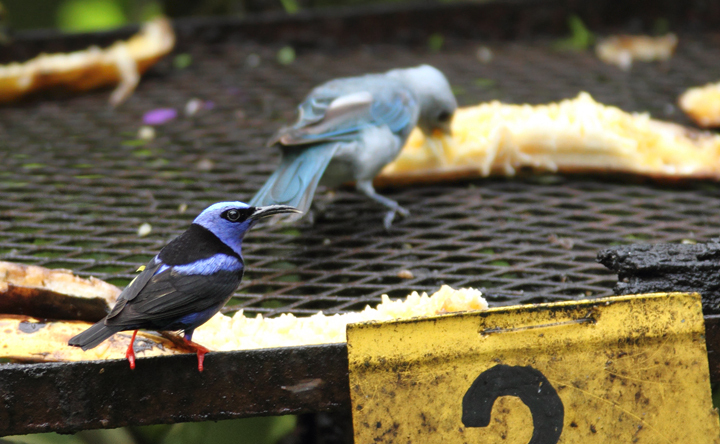 Last updated: 1/26/2011. 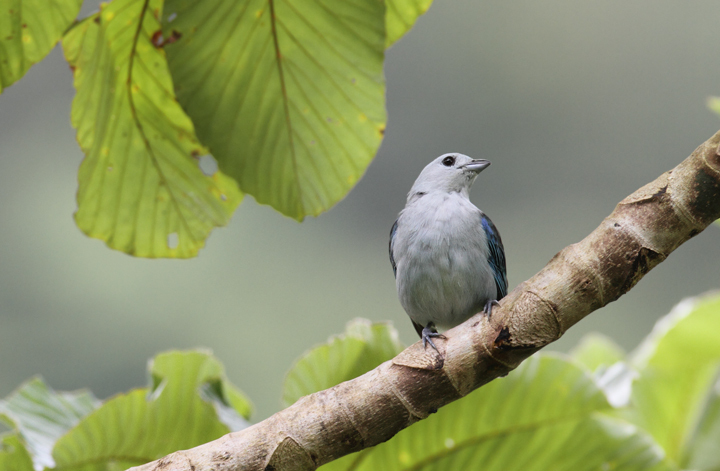 The abundance of Blue-gray Tanagers in the tropics can often distract us from their subtle beauty (El Valle, Panama, 7/12/2010). 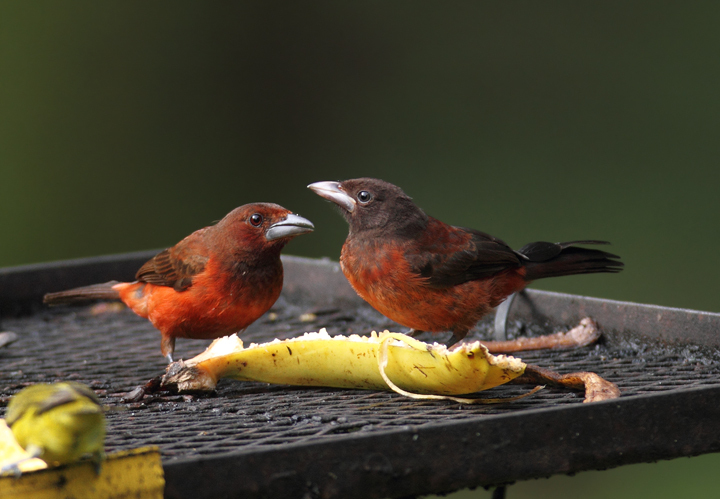 Below: Female and male Flame-rumped Tanagers, or Lemon-rumped Tanagers, near El Valle, Panama (7/13/2010). 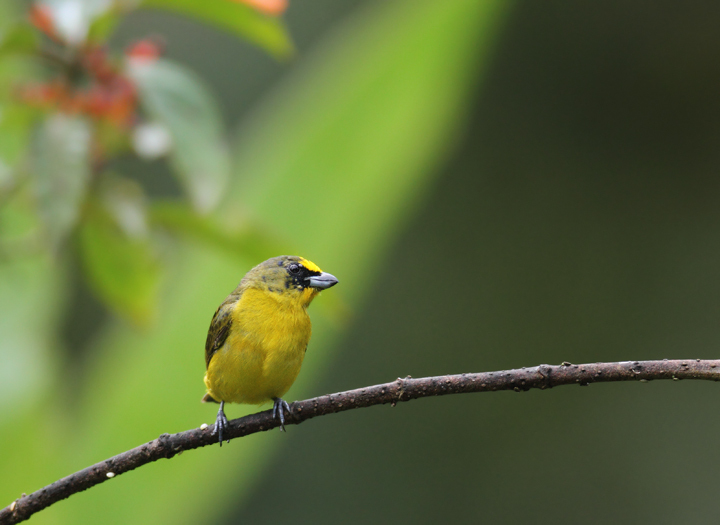 Below: A molting Thick-billed Euphonia at the Canopy Lodge, Panama (7/13/2010). 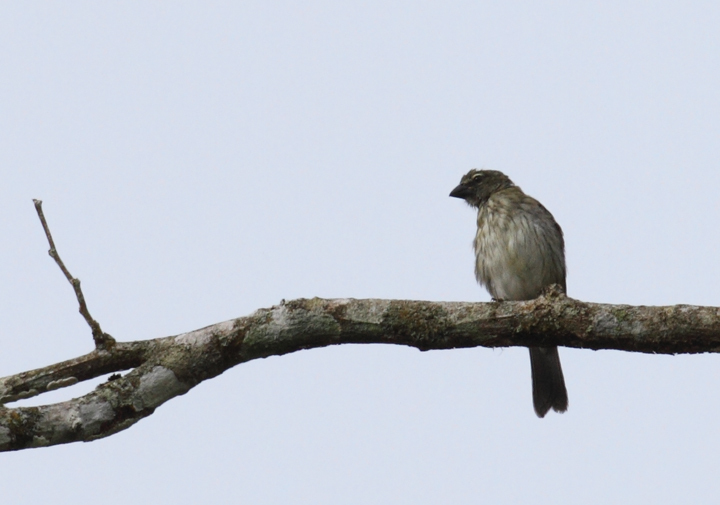 Below: A Two-barred Flasher on Cerro Gaital, Panama (7/13/2010). 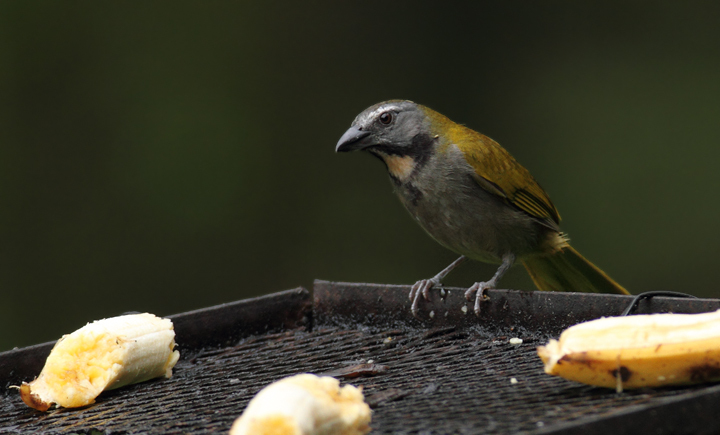 Below: A Buff-throated Saltator near El Valle, Panama (7/12/2010). 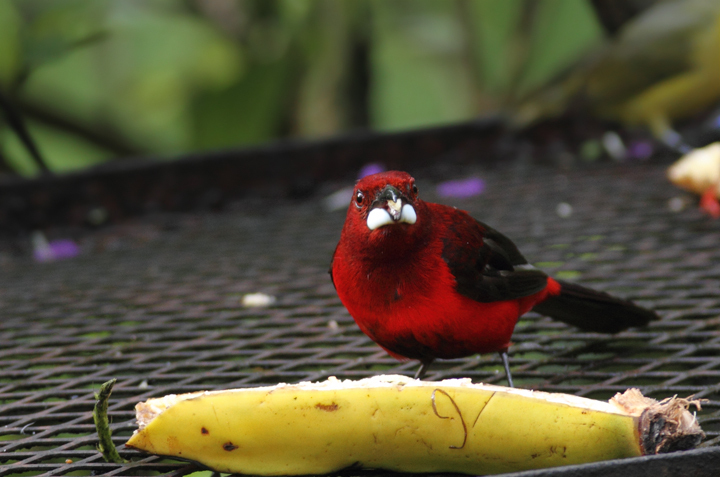 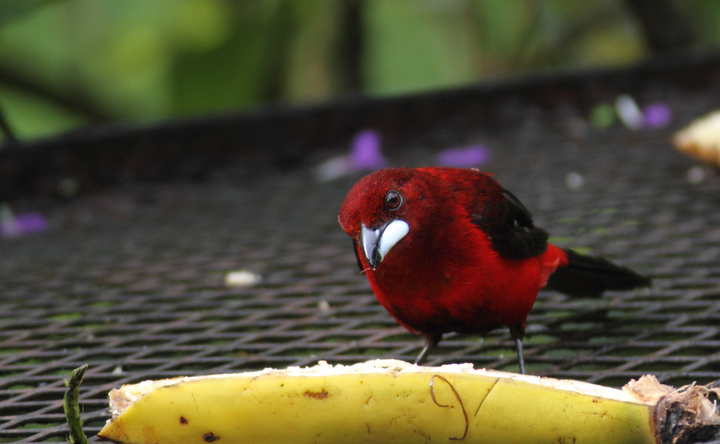 Below: A male Crimson-backed Tanager joins the rainbow of tropical songbirds at the Canopy Lodge banana feeders (7/13/2010). 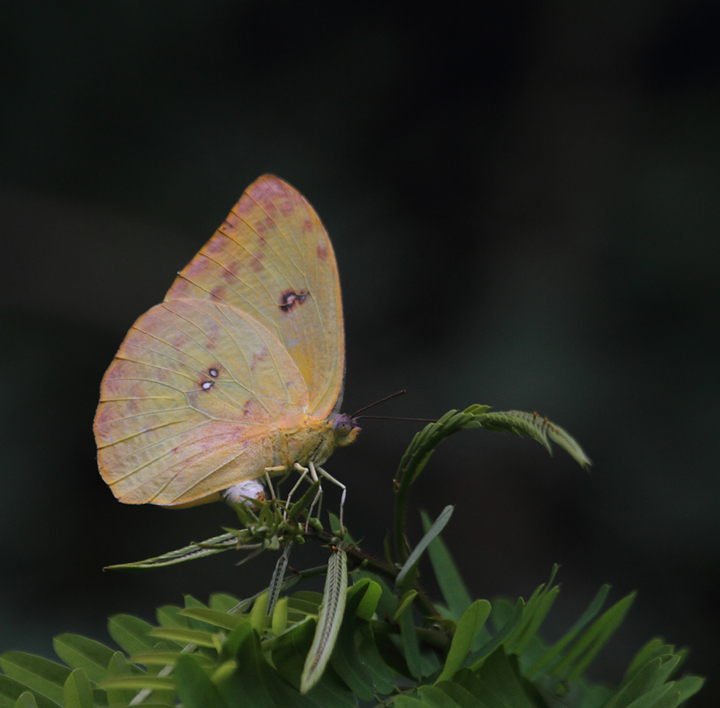 Below: An Apricot Sulfur on Cerro Gaital, Panama (7/13/2010). 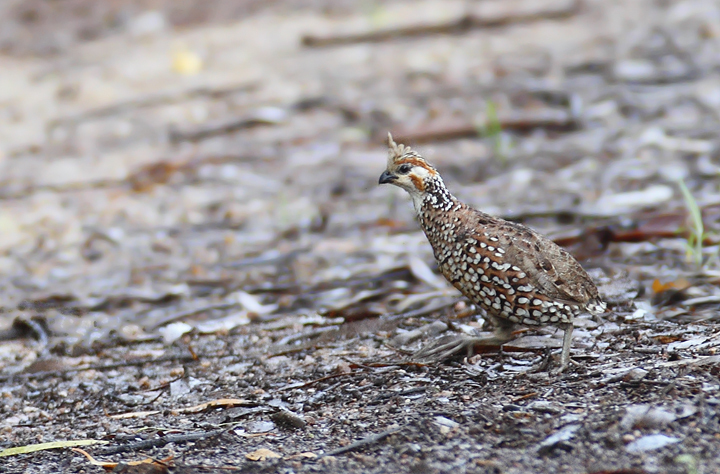 Below: A Crested Bobwhite in central Panama (7/12/2010). 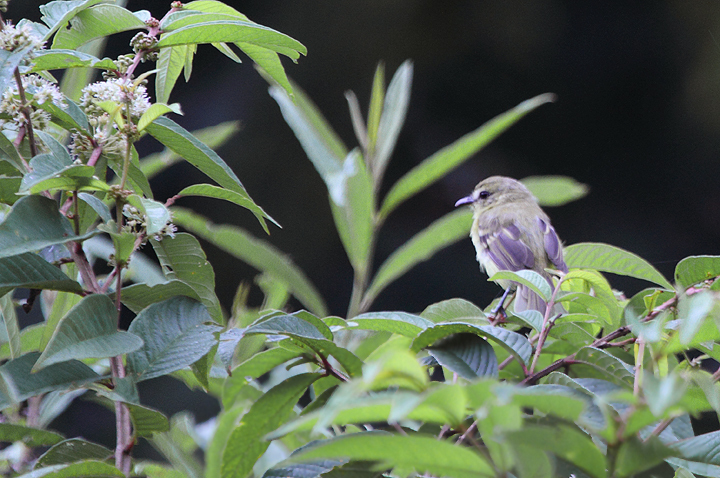 Below: A Yellow Tyrannulet outside of El Valle, Panama (7/11/2010). 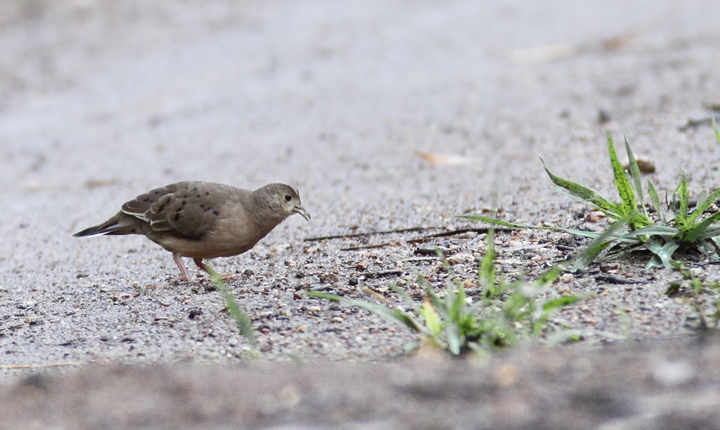 Below: A Plain-breasted Ground-Dove forages on a dirt road in central Panama (7/12/2010). 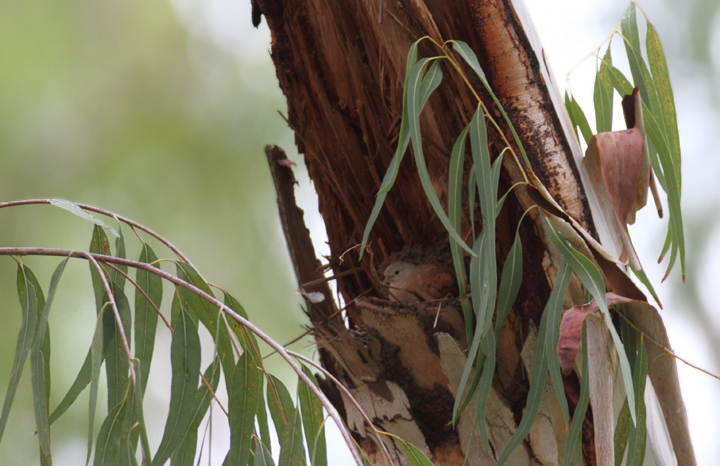 Below: A Ruddy Ground-Dove chose this broken eucalyptus as a protected nesting site (Panama, 7/12/2010). 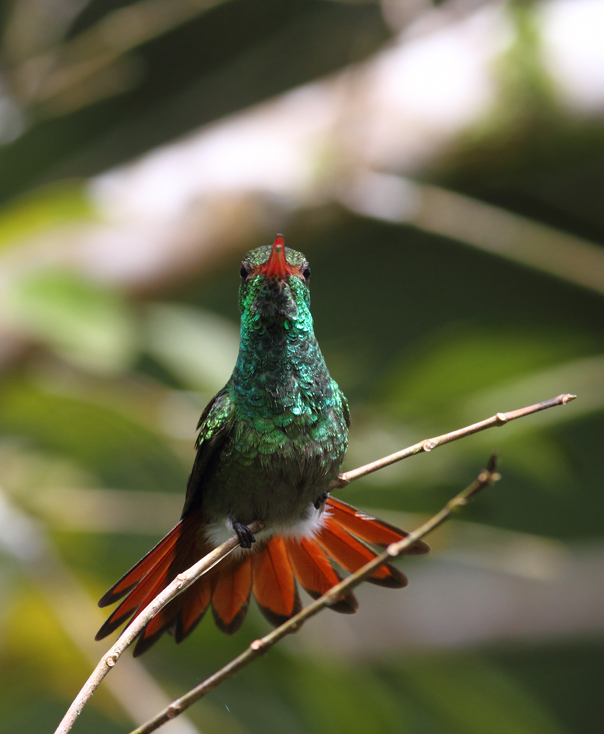 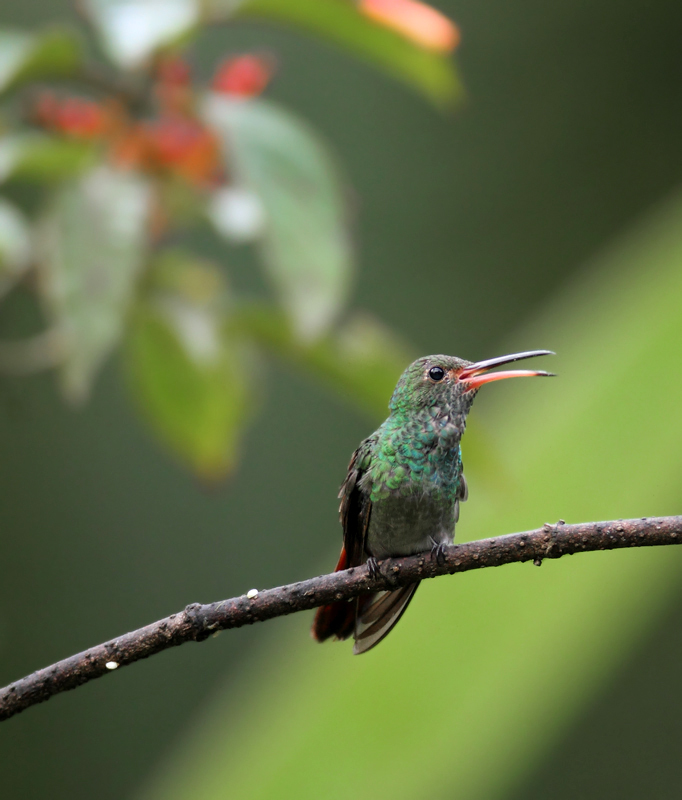 Below: A Rufous-tailed Hummingbird poses in the light morning rain - El Valle, Panama (7/13/2010). 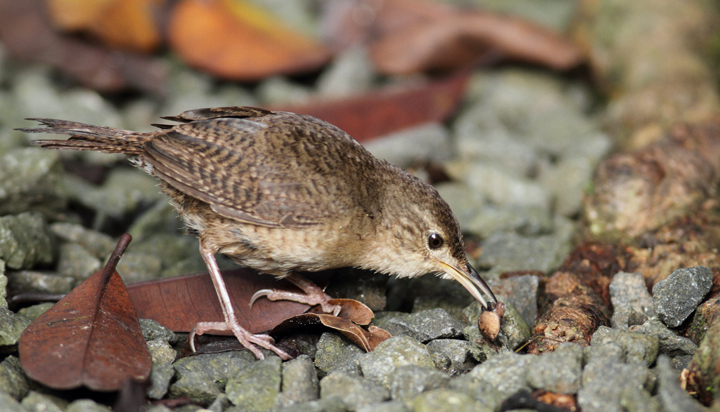 Below: A Southern House Wren forages around the Canopy Lodge, Panama (7/13/2010). 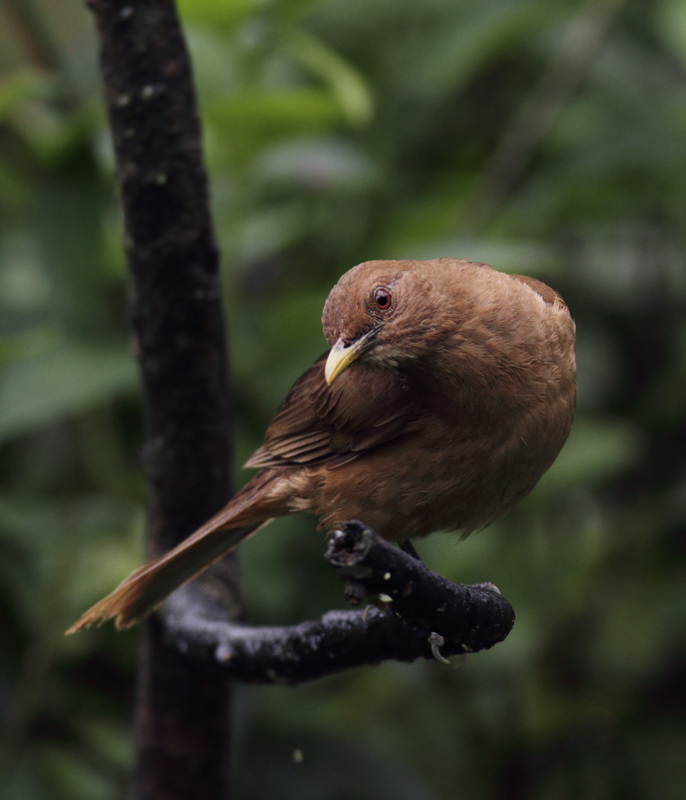 Below: A Clay-colored Thrush (Clay-colored Robin) approaches the Canopy Lodge feeding stations (7/13/2010). Below: An interesting flowering plant in the hills outside of El Valle, Panama (7/13/2010). 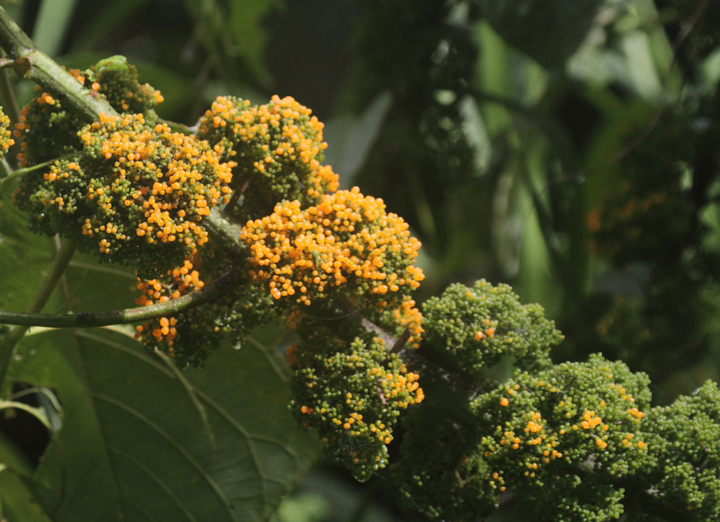 I dubbed it broccoli tree. 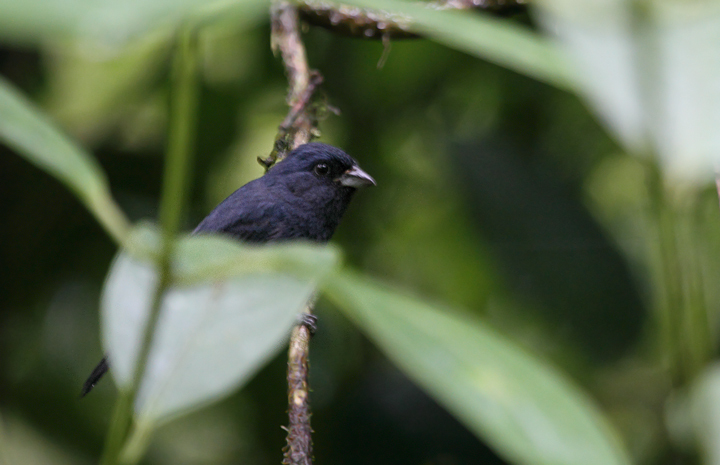 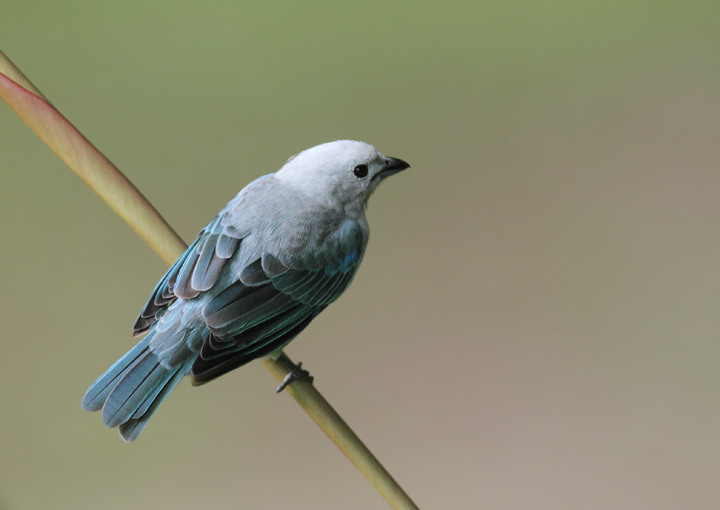 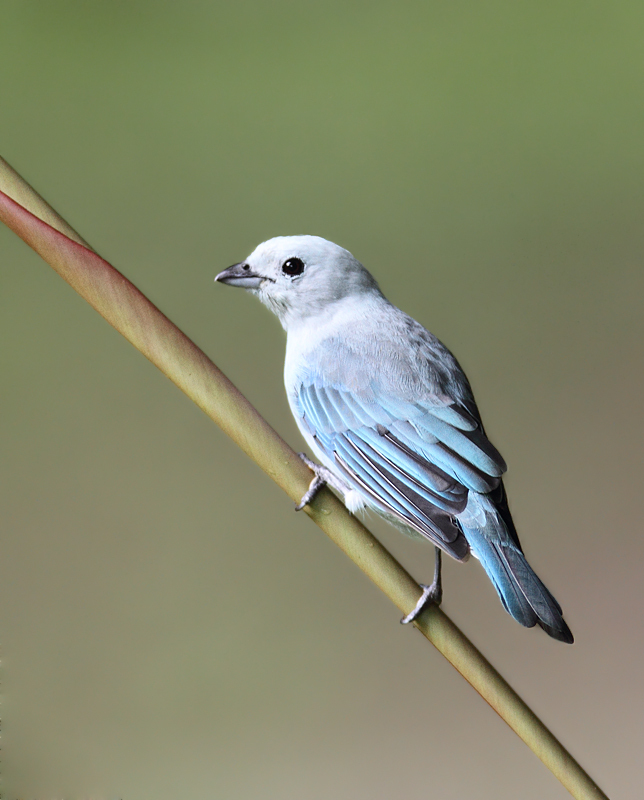 Below: The Blue Seedeater is a very rare and local breeder in Panama. 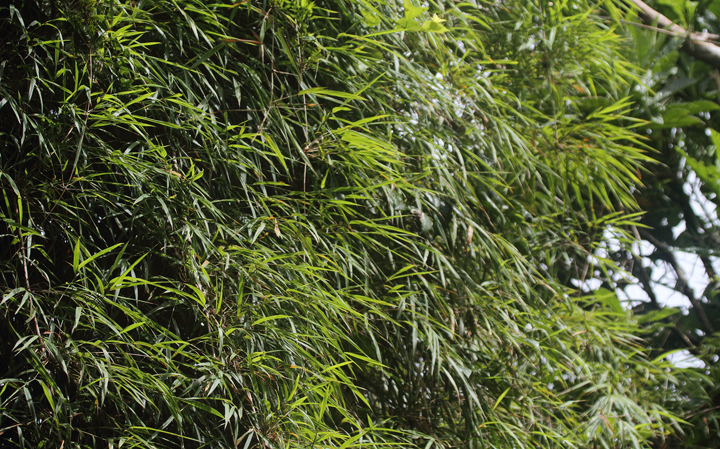 Unlike elsewhere in its range, it occurs here as high-elevation bamboo specialist. 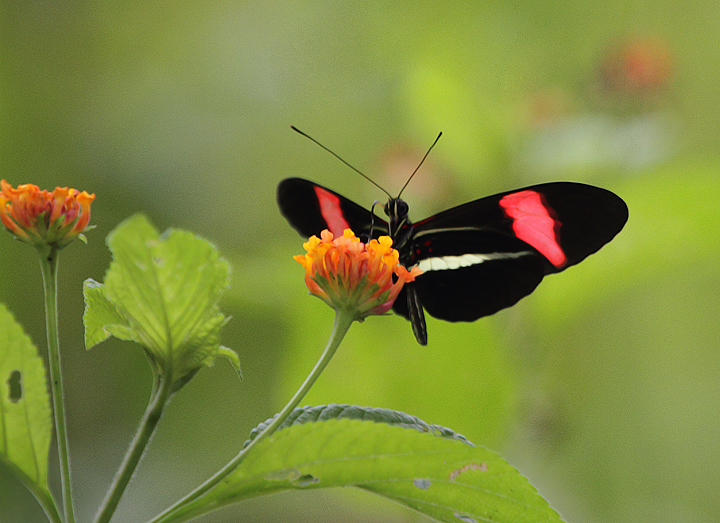 Favored habitat shown below. 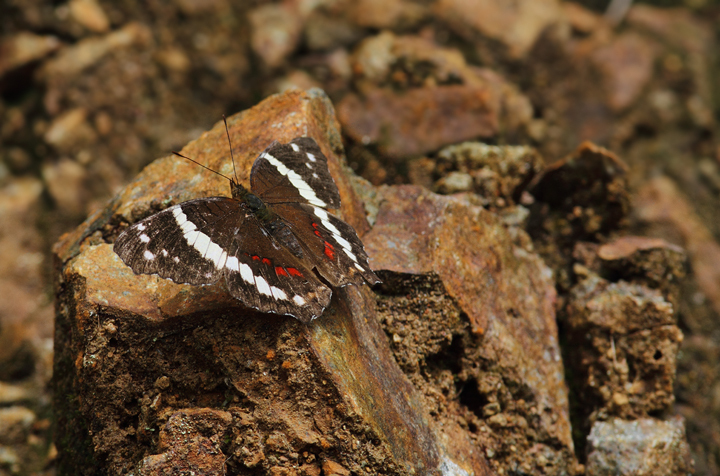 Below: A worn Banded Peacock near El Valle, Panama (7/11/2010). 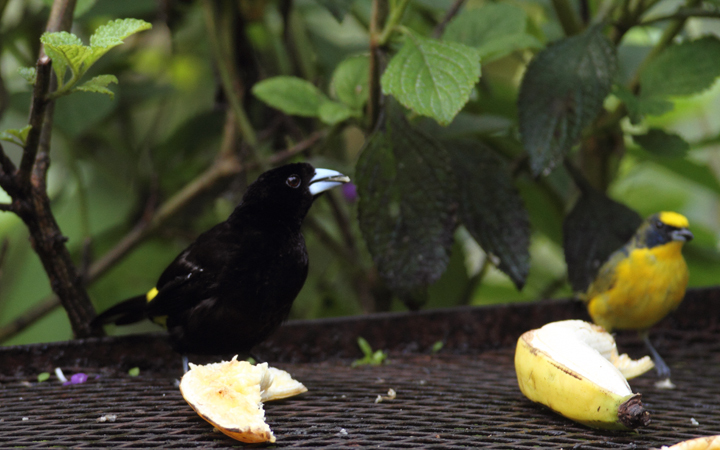 Below: A Dusky-faced Tanager with missing tail feathers at the Canopy Lodge, Panama (7/13/2010). 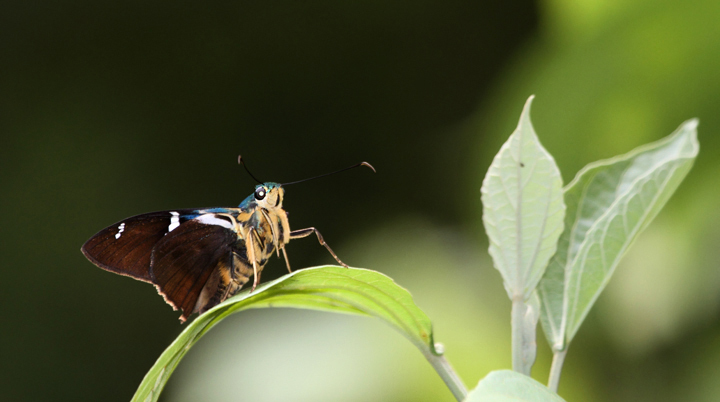 Below: An Erato Longwing near Ballano Lake, Panama (7/10/2010). 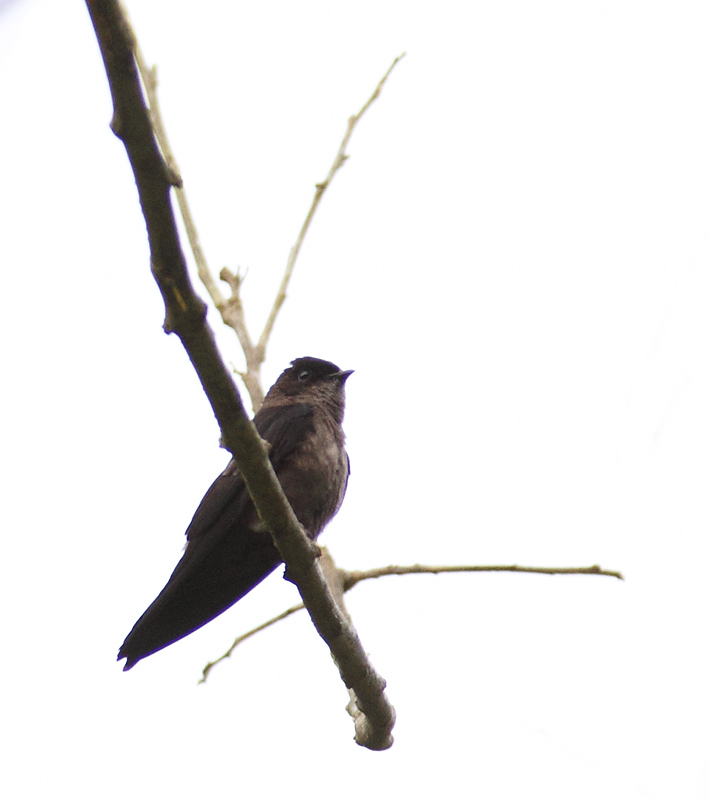 Below: A White-thighed Swallow, which is very local here at the northern edge of its range (near El Valle, Panama, 7/13/2010). 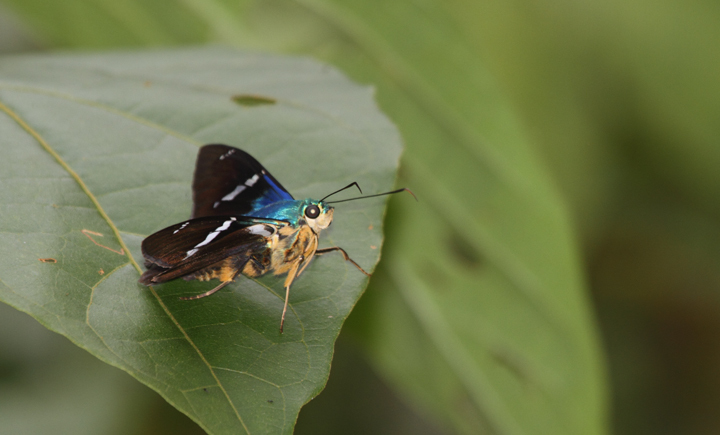 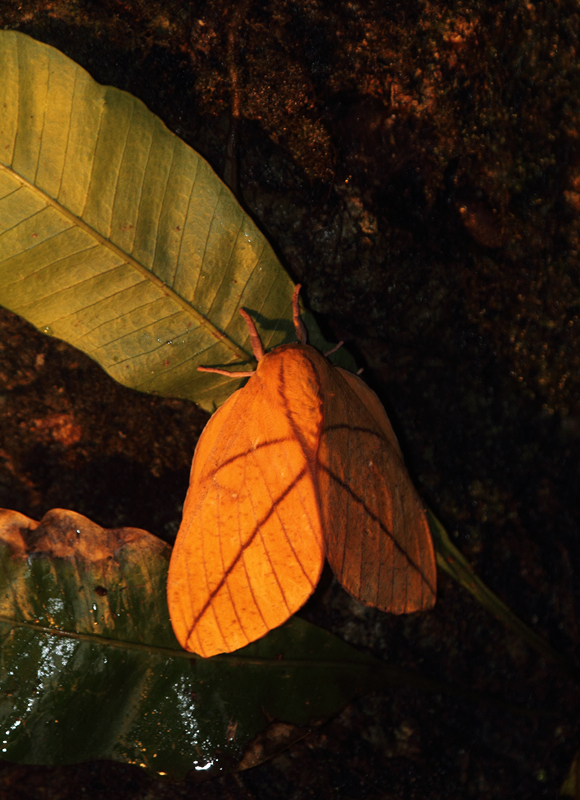 Below: A large and attractive moth near El Valle, Panama (7/12/2010). 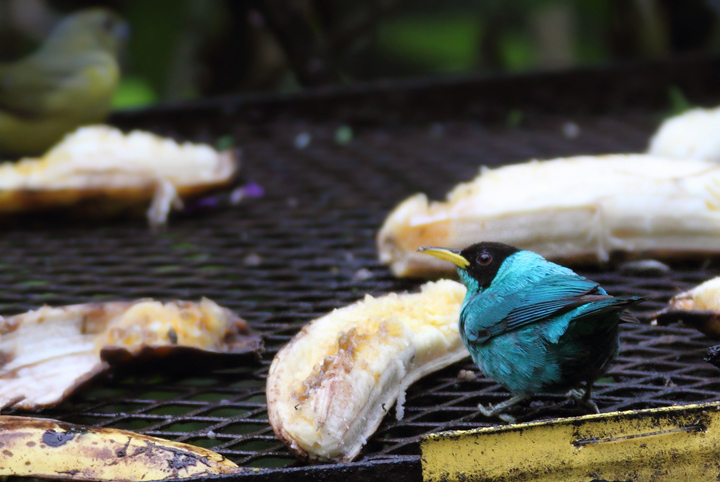 Below: A male Green Honeycreeper drops in at the Canopy Lodge feeders (7/12/2010). 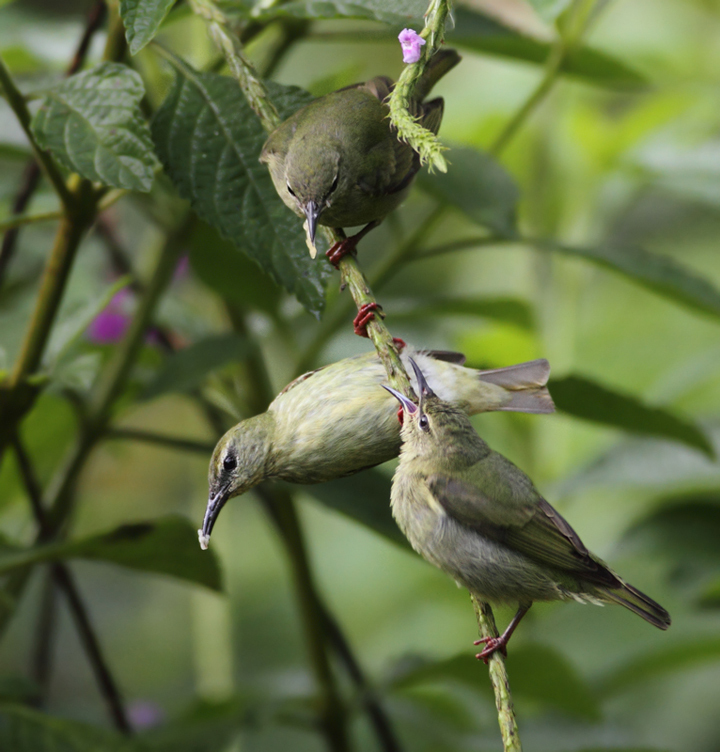 Below: A family of Red-legged Honeycreepers near El Valle, Panama (7/13/2010). 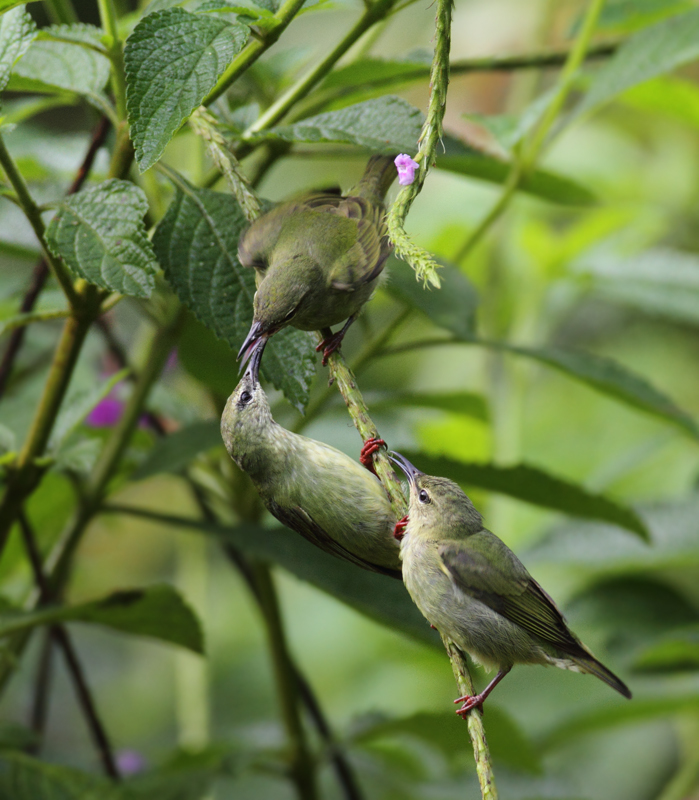 An adult male is shown below, followed by the female feeding two recently fledged young. 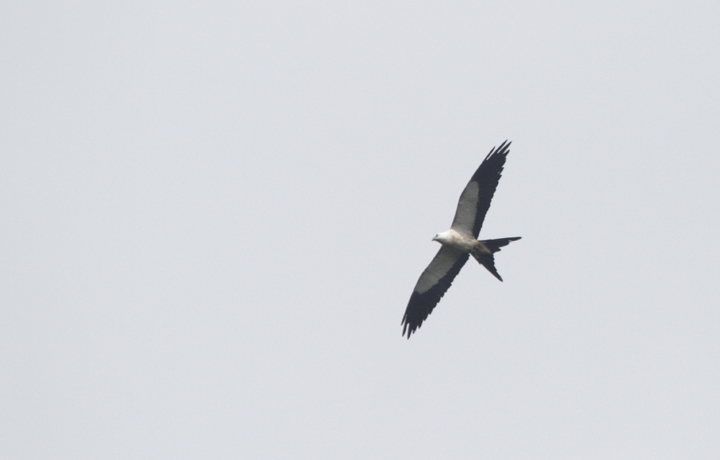 Below: A Swallow-tailed Kite soars over the hills near El Valle, Panama (7/13/2010). 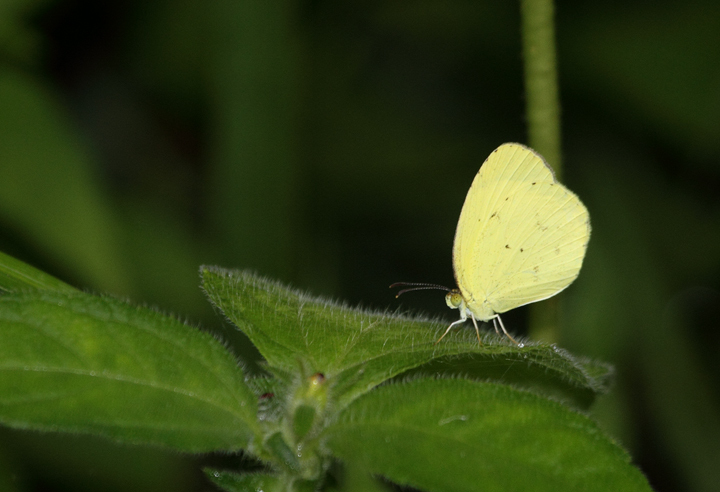 Below: A Mimosa Yellow near El Valle, Panama (7/11/2010). 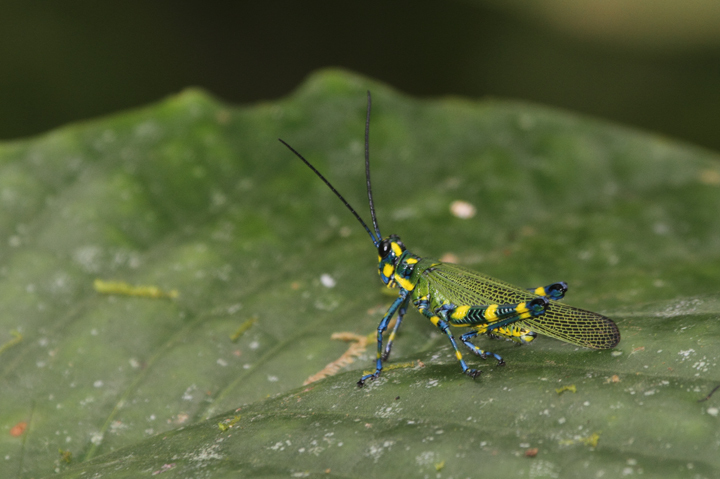 Below: One of the coolest grasshoppers ever - hills near El Valle, Panama (7/13/2010). 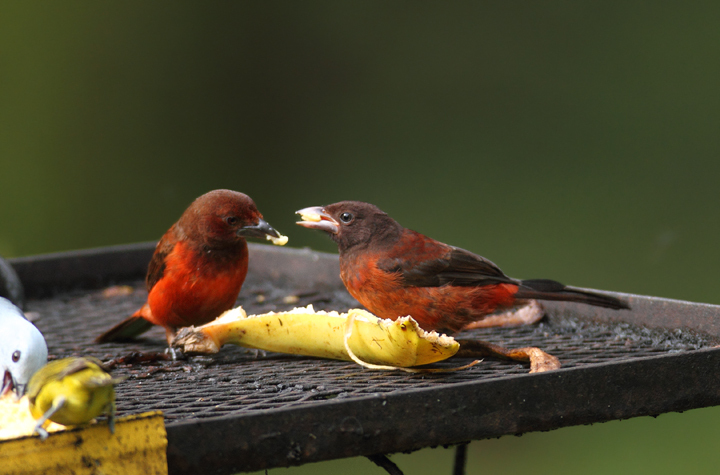 Below: A Red-crowned Ant-Tanager shows its recently fledged young the ropes at the Canopy Lodge feeding stations (7/13/2010). 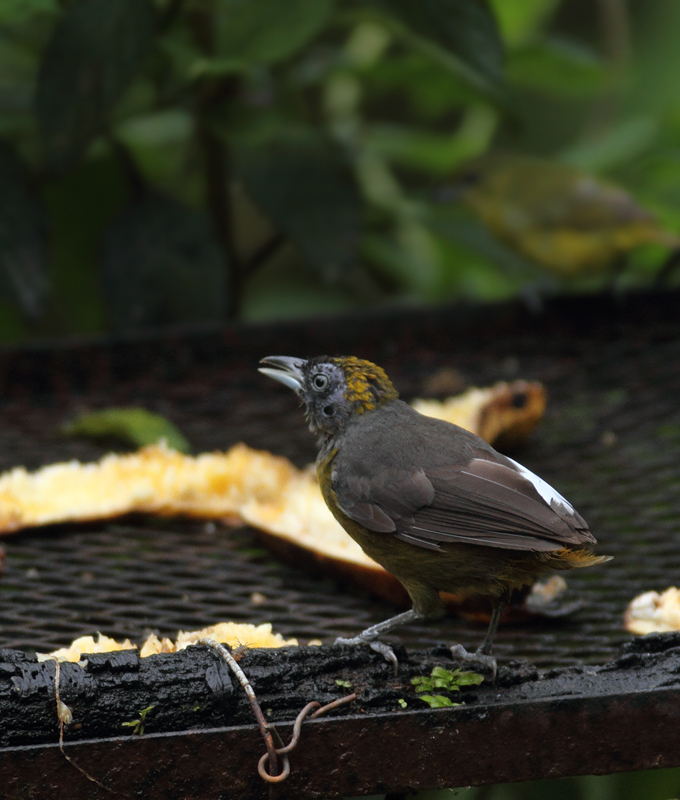 Below: A Streaked Saltator outside of El Valle, Panama (7/13/2010). 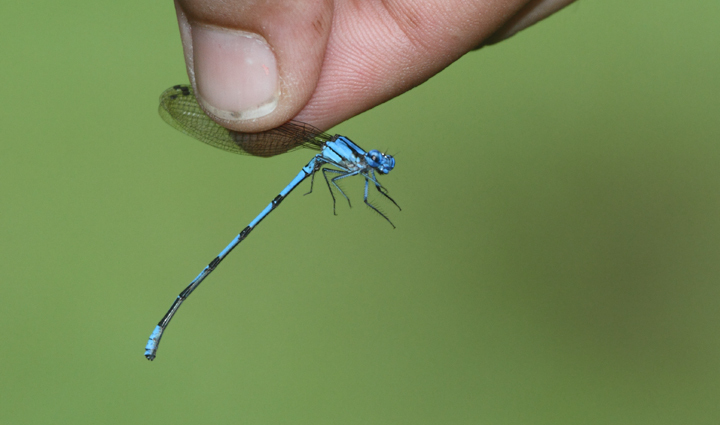 Below: A damselfly species in the mountains near El Valle, Panama (7/13/2010). 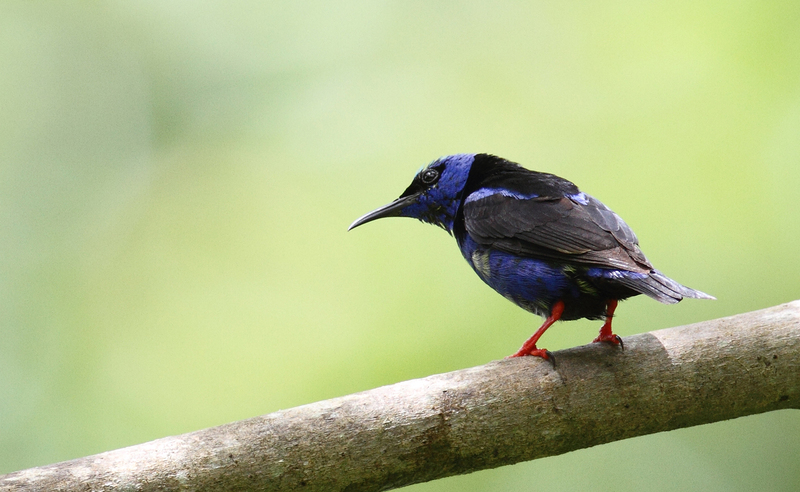 Below: A male Red-legged Honeycreeper makes my morning of photography near El Valle, Panama (7/13/2010).